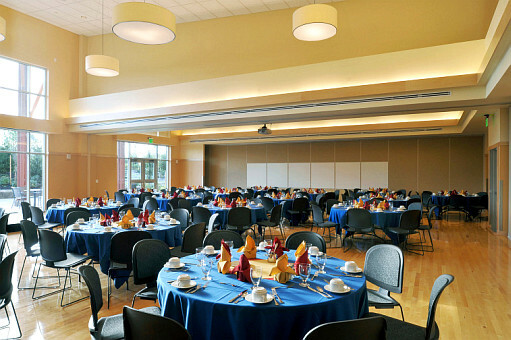 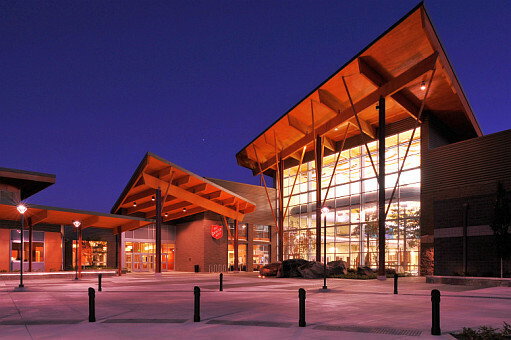 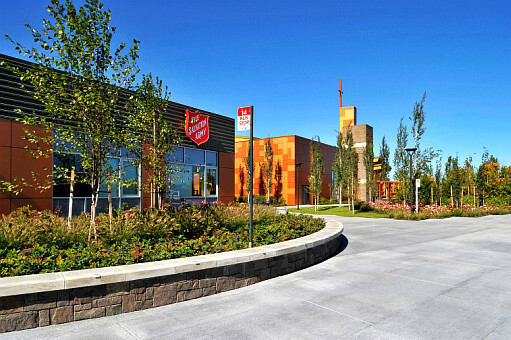 The Salvation Army Ray and Joan Kroc Corps Community Center was designed to be accessible to people of all ages and backgrounds, providing opportunities for self- improvement and community connections. 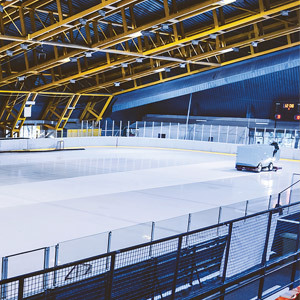 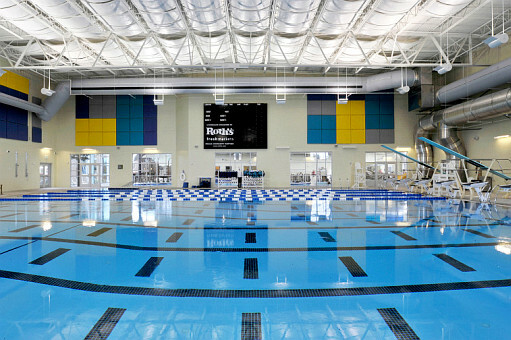 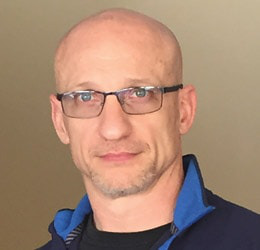 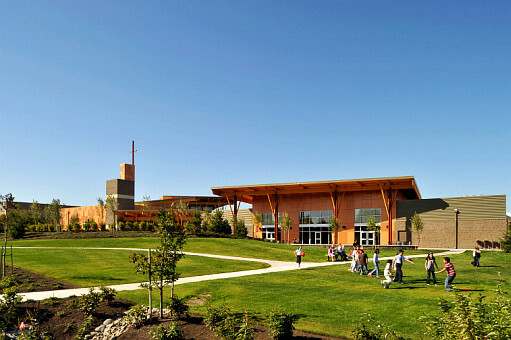 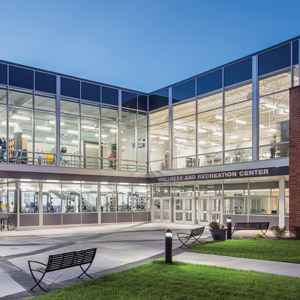 The design reflects the combination of multiple community functions — an aquatic center, a recreation center, a church, a library, an education center and a cultural/performing arts facility — in one complex, resulting in considerable operational savings and increased usage over a traditional recreation center. 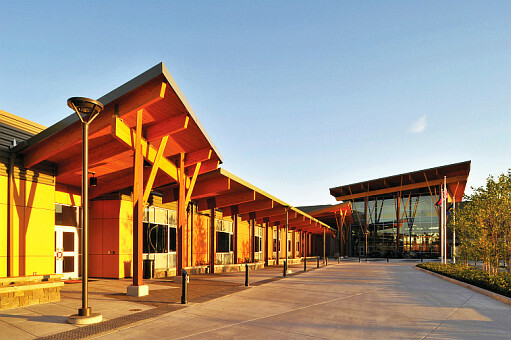 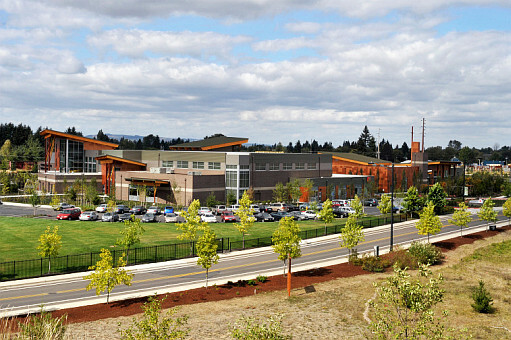 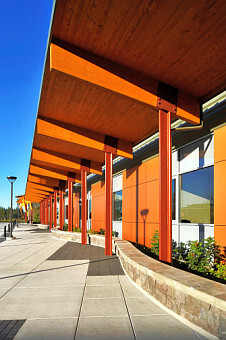 The exterior materials and aesthetic appeal suggest a contemporary Pacific Northwest character that responds to a connection with nature and the sustainable development of the region. 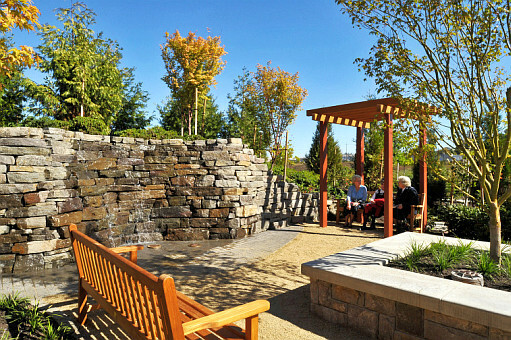 Basalt stone veneer was used selectively at the entry, fireplace, prayer garden and outdoor terraces, while other key elements are sheathed in copper-colored solid phenolic panels that sparkle in the varied Oregon light. 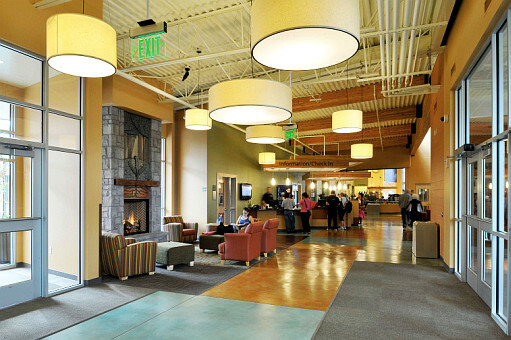 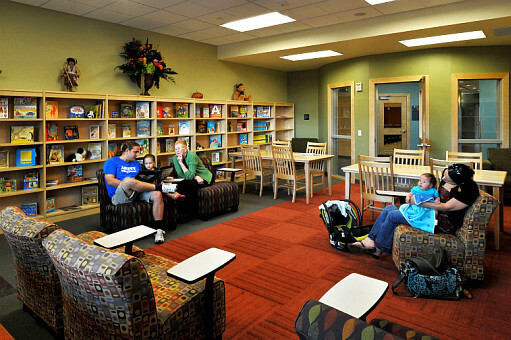 The daylit lobby unites all parts of the center, though the heart of Kroc Salem is the chapel, education and community wing. 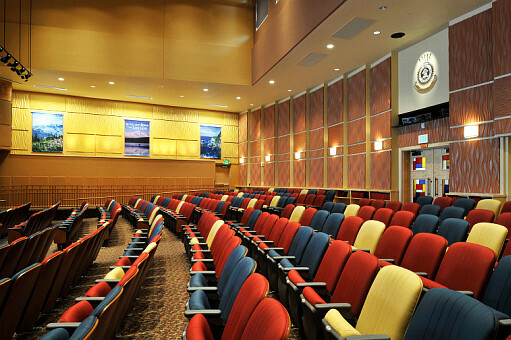 The worship space/performance center seats 280 on a sloped floor. 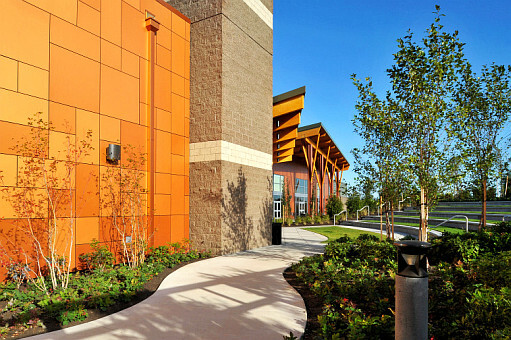 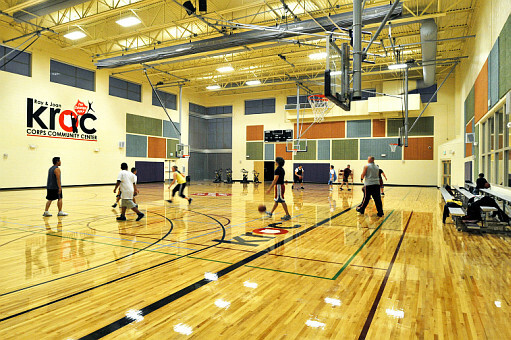 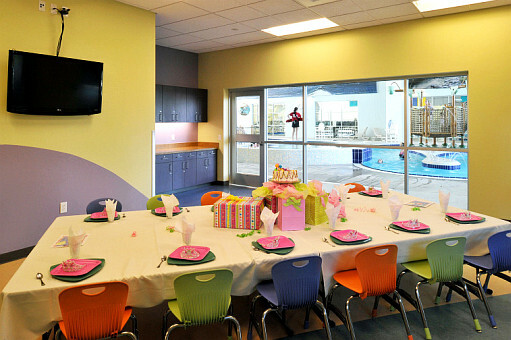 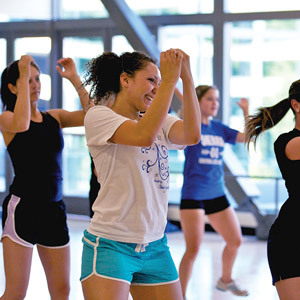 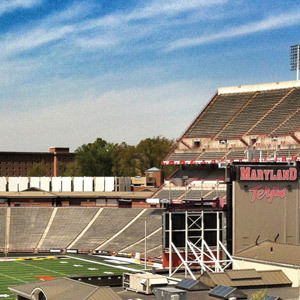 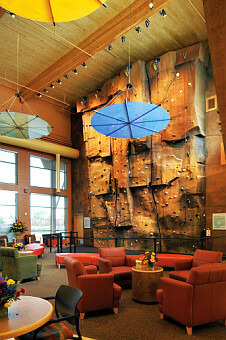 The recreation area features a gymnasium, a fitness center, a multipurpose/dance studio and a 30-foot climbing wall. 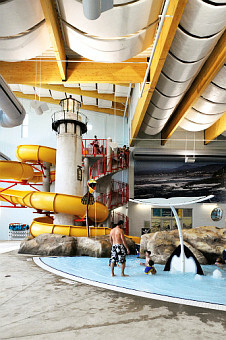 The aquatic complex includes a lighthouse, a whale tail spray feature and rock formations, all celebrating Oregon’s coastline, rivers and forests. 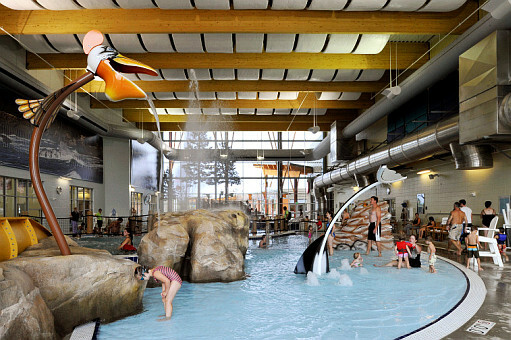 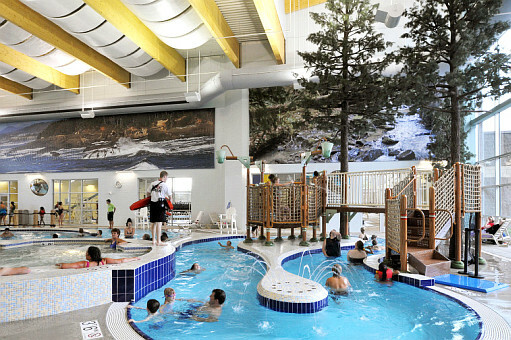 A lazy river winds through a forest of artificial coniferous trees and doubles as a resistance channel, and a separate 25-yard-by-25-meter competitive pool and diving well rounds out the aquatic center. 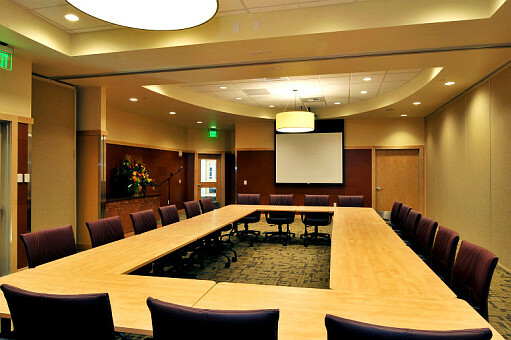 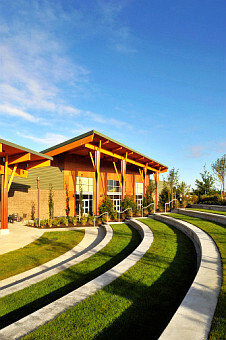 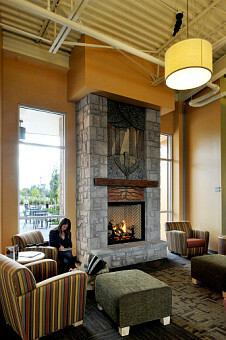 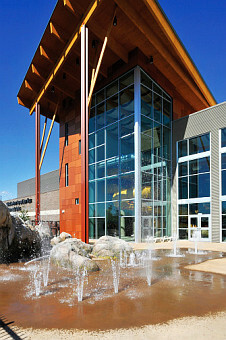 Architect: CBTwo Architects; Salem, Ore. 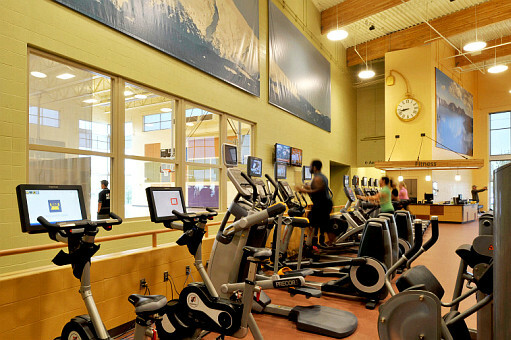 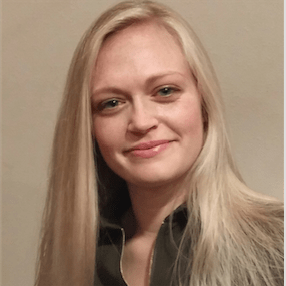 Programming Consultant: Ballard*King & Associates Ltd.; Highlands Ranch, Colo.
Cardiovascular Equipment: Cybex International Inc.